We believe the Bible is the Word of God, which reveals truth from God. Therefore the Bible is the supreme authority on what ought to be believed and obeyed. Thus the Bible should be the foremost source for teaching and learning about God and His desires for people. If you believe that, there is an opportunity you may want to be part of in Uganda, Africa. In Uganda there are thousands of village pastors with no training in how to properly understand and apply the Bible. So they are just taking up the bad habits of the pastor(s) they learned under, and so they mis-teach the Bible, and mislead people. They don’t have access to good training nor the money to afford it. So we take free training to them (listen to the audio presentation at the bottom of the page about how we take it to them). 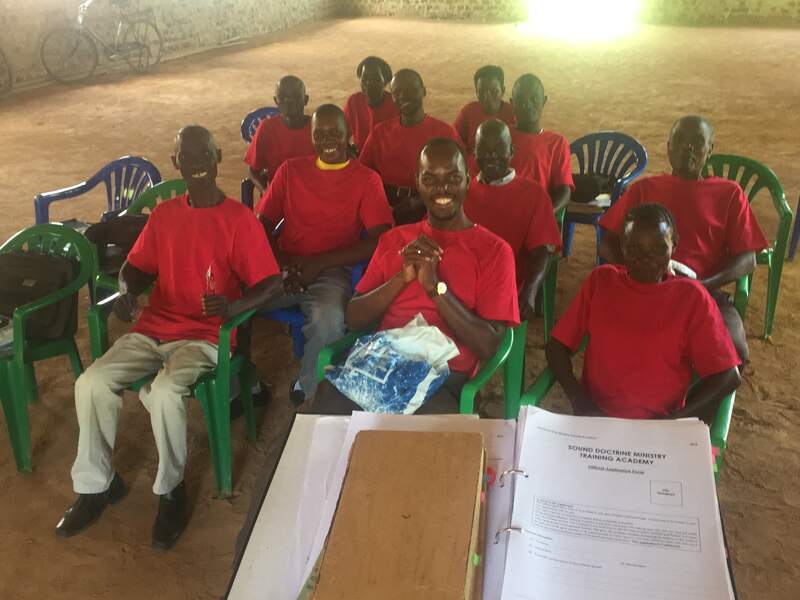 Pastor Christian, in his travels to Uganda, has felt lead by God to start a training academy for Pastors there - Sound Doctrine Ministry Training Academy. 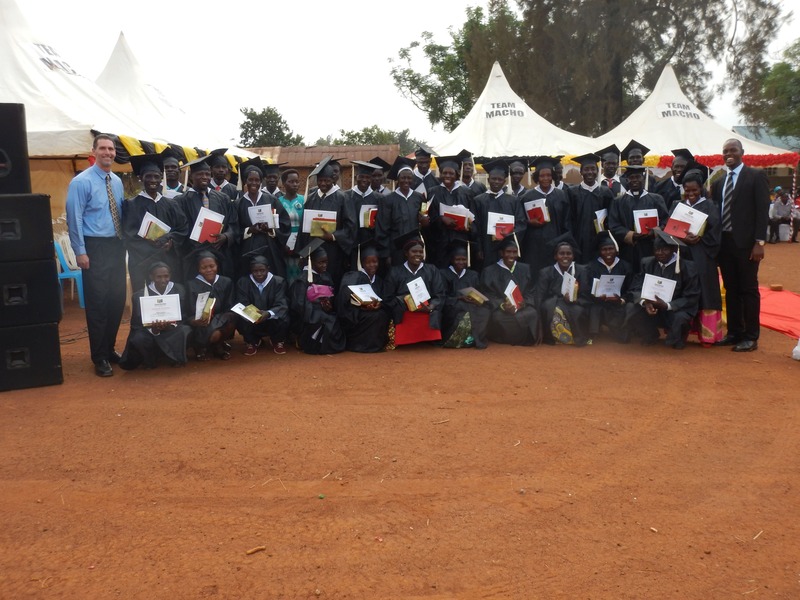 The Academy is going to the village pastors and train them in good theology, good Bible interpretation, and preaching. You can watch the following two and a half minute video about Uganda and why this training is so needed. The first step was identifying a Ugandan who could run the school and be the first teacher. We felt lead to look for a man who loves the Lord, has experience pastoring, is old enough to be respected but young enough to make this investment worth while, is responsible, a good organizer, trustworthy, knowledgable about the culture, knows the several main local languages, is teachable, friendly, likable, loves people, joyful, smart, a good communicator, a good networker, and well connected. That was a tall order, but God had the man for us, Walter. The next step was putting Walter through a four year Bible college, to prepare him to run the academy and teach the pastors. We found a good Bible college in Uganda, where Walter studied theology and Bible, as well as business and communication, and graduated in June of 2016. The first term of the Academy, training village pastors, started in September 2016. A group of 15 pastors and church ministers in one village made up the first class (seen at the top of the page in red shirts). Soon that expanded to four groups of pastors each being trained on a different day of the week in a different village. The first class of 36 pastors graduated in January 2018 (seen at the tip of the page). The first year costs were $15,000 for everything for the school. That’s not a lot, to train three dozen pastors. For 2018, six of the graduates will be joining Walter as teachers, and will be overseen by Walter. This expands the capacity of Sound Doctrine tremendously, with not a lot of additional cost. The six pastors are volunteering, to give back for what they have learned. There are 15 village centers planned to hold classes and over 200 pastors signed up. For details on this, you can listen to the audio presentation from Pastor Christian and the video clip from Walter, immediately below, both presented February 4, 2018. The audio clip also contains details about the budget of the school and financial efficiencies. If God puts it on your heart that you would want to be involved in this, there are a few things you can do. If you want to make a contribution, please make checks payable to Stone Creek Bible Church, write in the memo or on the giving envelope “Sound Doctrine, Uganda”. If you want more information, feel free to talk to Pastor Christian. Your prayers for this ministry would be much appreciated. As a reminder to pray, you can pick up a card on our mission wall in the church hallway. We believe that by your giving you fully participate in every pastor who is trained in Uganda, and get credit to your spiritual account from God, and we thank God for you (Philippians 1:3-7, 4:15-19). Click the play button below to listen to the plan for taking the school to the village pastors. This map was originally shown along with the presentation of this audio. You can can enlarge the map to follow along with the presentation. Just click play on the audio first, then click the map and it will open larger in a new window.